Executive-in-Residence and part-time instructor in the Masters of Accountancy program in the J.M. Tull School of Accounting. Also, currently serving on the boards of two public companies, including: Synovus Financial Corp. and RidgeWorth Funds while having also served on the board of Krispy Kreme Doughnuts. Bentsen serves on the Audit Committees of all three boards while chairing the AC at Synovus. He also chairs the Nominating and Governance Committee at RidgeWorth. 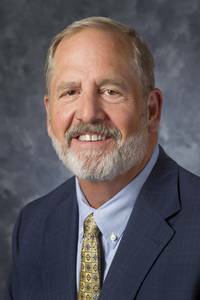 Tim spent most of his career with KPMG LLP, starting in San Antonio in 1975, moving to Los Angeles in 1980 where he made partner in 1985 and then transferring to Atlanta in 1993 where he held leadership positions until his retirement in March 2012. He was an audit partner principally serving financial services companies. From 2003 to 2010, Tim served as the Atlanta office managing partner and from 2006 to 2010 also as the Southeast Area Managing Partner.